Welcome to the dynamic world of infographics – a cool contemporary form of data presentation. Icons, pictograms, maps, flow charts, signs and graphs: these visual methods deliver must-know info in stunning snapshots. 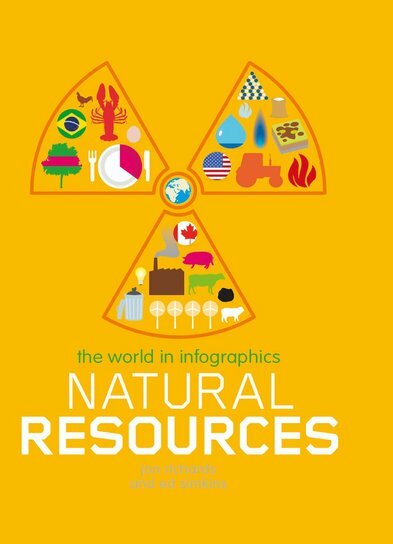 Now this book pairs the art of infographics with seriously cool facts about our world’s resources. Result: a unique learning experience that’s as visually exciting as it is fascinating! From oceans, forests and minerals to the distribution of coal and oil, no topic is too big or too complex to be shown in eye-catching graphics. Here’s proof! Whether you love design, learning or innovation, you’re going to find all kinds of things to discover and love in this book. IG1060L Lexiles are the global standard in reading assessment. They are unique as they are able to measure a child and a book on the same scale – ensuring the right book gets to the right child at the right time.